It’s a hot day at Cooper’s Landing. The Missouri River stretches to the right. A bluegrass band and crickets hum in the background. And people are scattered about listening, drinking beer and fanning away the heat. I glance around for Sara Dykman, who’s just arrived from Jefferson City by bike and who’s heading toward Mexico. I don’t see her, but I do see her bicycle. The bike is bright pink and loaded down with stuff. Suddenly, Sara appears with a Mr. Pibb in hand, catching me in the middle of snapping photos. After a decade of planning and development, the Katy Trail extension towards Kansas City is set to open. A portion of the trail will be open to the public this October and it’s news not only for cyclists, but also for business owners. The Missouri State Parks Department says the Katy Trail supports 367 jobs and generates about $18.5 million in economic impact a year, which could grow. Businessman and Katy Trail patron Edward "Ted" Jones is set to be honored in the Missouri Capitol. Jackson County and the Kansas City Area Transportation Authority announced the $52 million purchase of a rail corridor from Lee's Summit to near the Truman Sports Complex. 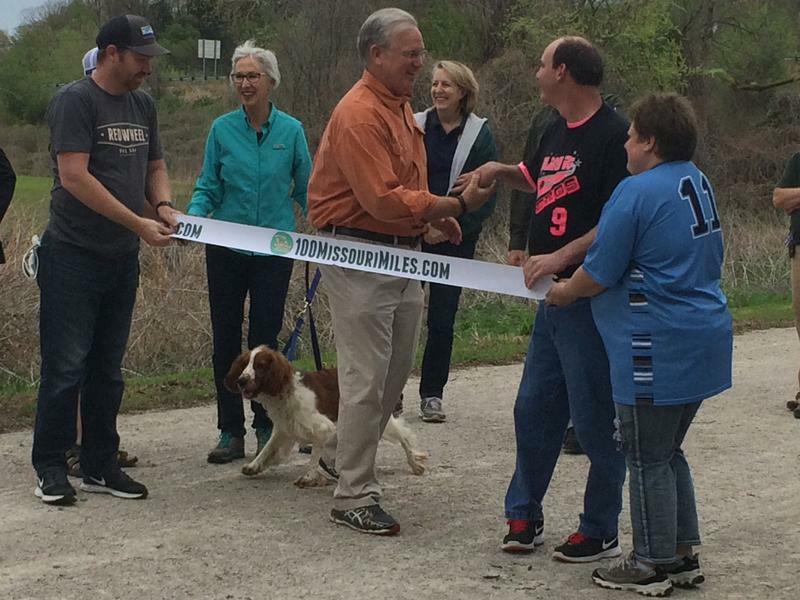 The Missouri Governor renewed his challenge to Missourians to get outside and stay healthy. 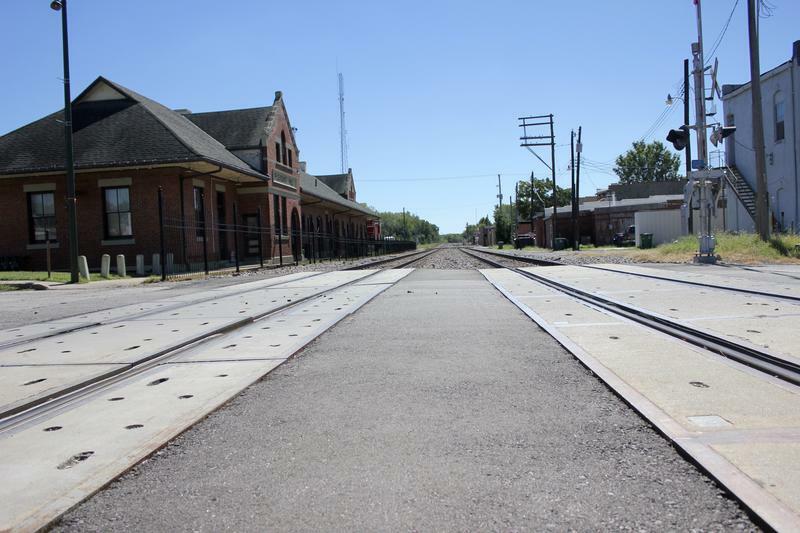 Rock Island Corridor to become Rails to Trails? 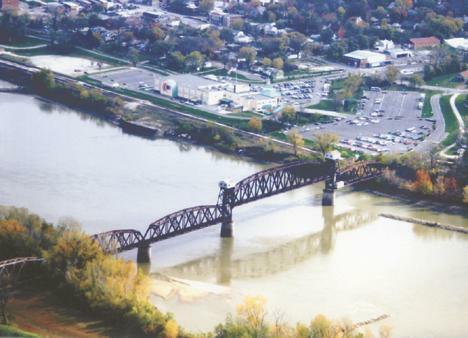 The Rails to Trails Conservancy has placed a bid on the Rock Island Corridor, currently owned by Ameren, on behalf of local and state organizations with plans for a large scale rail to trail project. A group that fought to save a central Missouri railroad bridge from demolition is raising money to repair the span. The Columbia Daily Tribune reports members of the Katy Bridge Coalition hope eventually to add the bridge to the Katy Trail, Missouri's 225-mile hiking and biking trail. 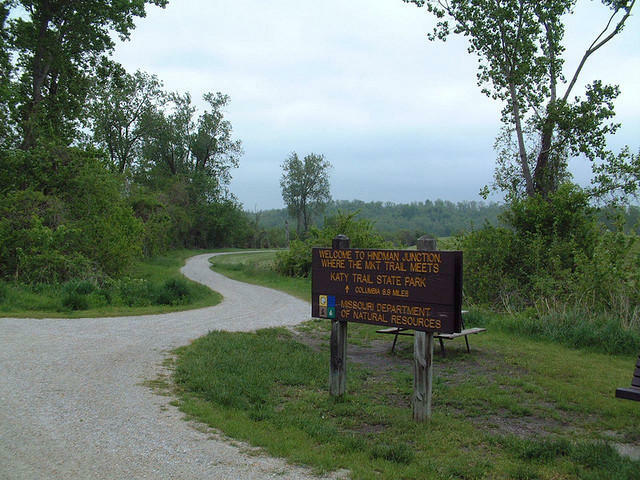 Columbia Parks and Recreation is considering taking control of a 4-mile portion of the MKT trail that connects Columbia with Katy Trail.